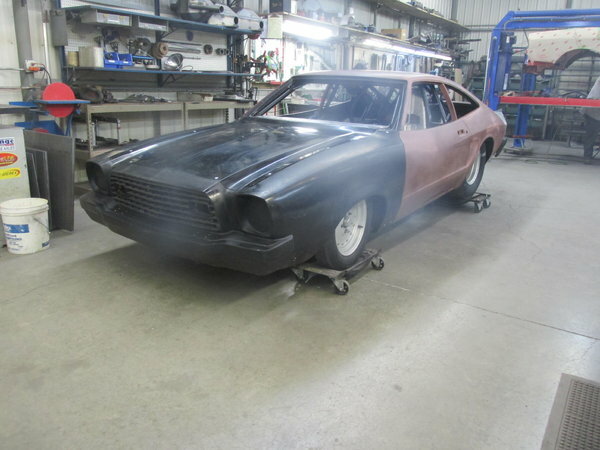 This car was going to be my little grudge car but downsizing is forcing me to let someone else finish it. (Of course we can finish it here at Advanced Chassis also) It started off like any other flip then I decided to keep it and it spiraled into this. 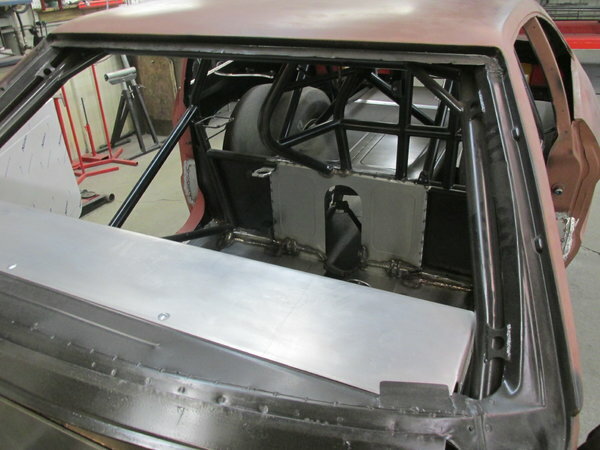 Cage will cert to 7.50 but this car will take as much power as you want to put to it. It has a Chromolly fabricated housing that runs either our low boy four link, or a ladder bar set up depending on the class. Inside the housing are brand new 40 spline gun drilled Strange axles. 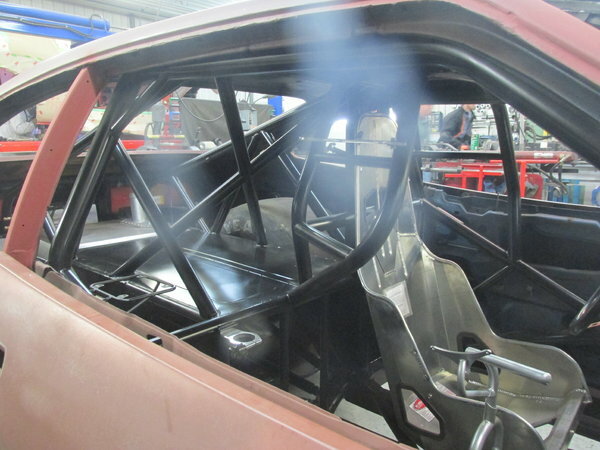 The four link, anti- roll, and wishbone are all pro style units that would be right at home on a Pro Mod. The rearend was built to accept both small and big tire combinations. 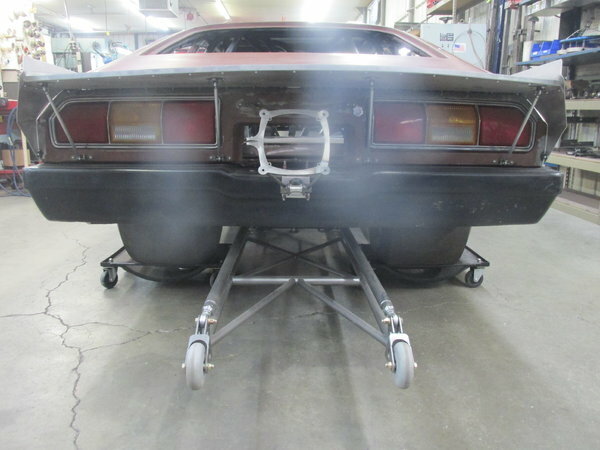 The wing and chute launcher mount completes the rear of the the car. Up front I kept but reworked the front double a-arm front suspension for long travel to handle no prep tracks. I have motor plates for both big block Chevy and Mod motor Fords...no trans mount. One piece front end is mounted and easily removable. The hood is mounted and fits pretty well. 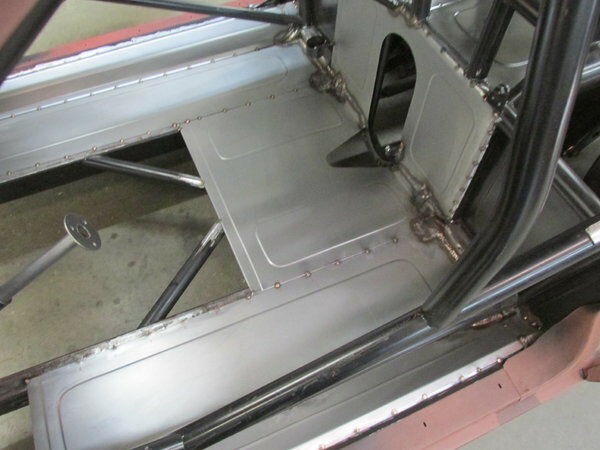 The main body is steel as are the doors. Half of the tin work is done and the tubs are started. Here's what you get...as is, where is. 2. Chromolly housing and 40 spline axles. 3. Koni coilovers all the way around (used but in good condition). 4. Dash with stationary gauge pod. 5. Big Block Chevy and Mod Motor Ford Front and midplates. 6. Driveshaft loop installed with shifter and delay box mount. 7. 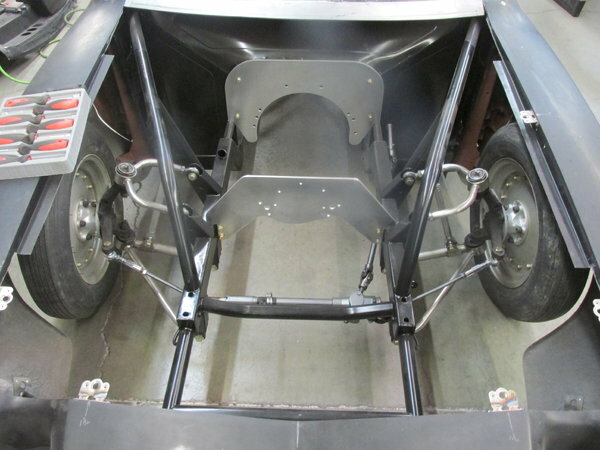 Fiberglass front end, rear hatch, rear bumper...all mounted. 9. Large stainless fuel cell. 12. Chute mount and release. 13. Co2 and Racepack mounts. 15. Working steel doors with inner door skins. 16. 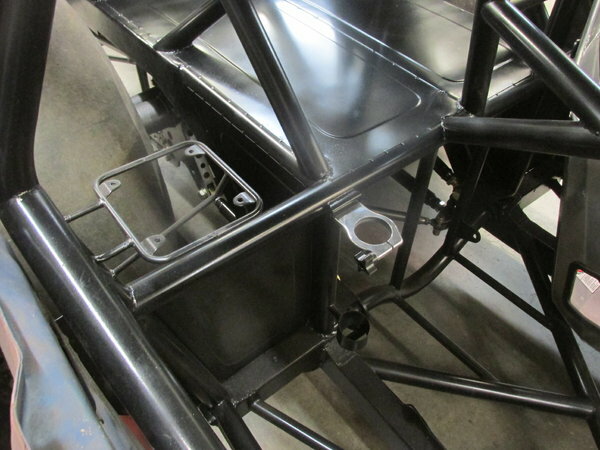 Kirkey Seat with harness mounts. 19. Nostalgia rims and tires (tire are old). This can be finished to any level of completion but it will have to be scheduled in our normal line of business waiting.